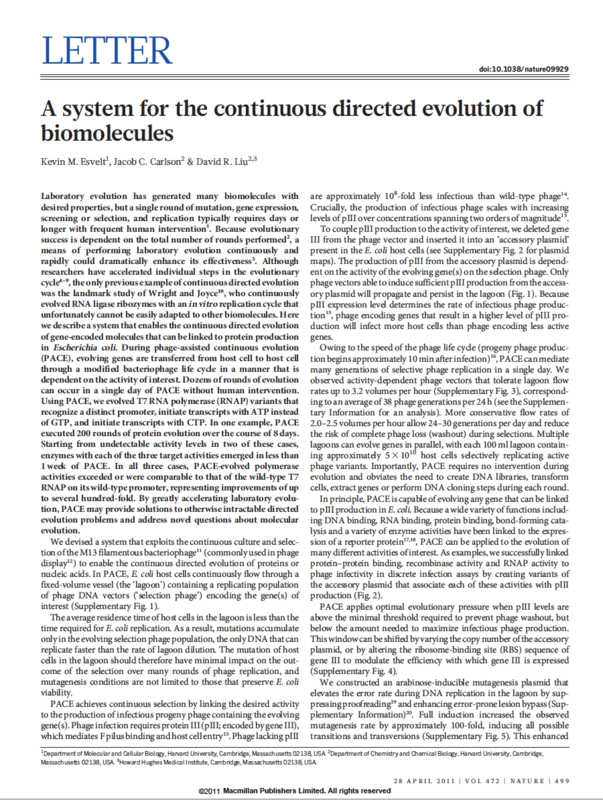 PROTEIN EVOLUTION Biological evolution has efficiently solved many challenging molecular problems. By harnessing the power of biological evolution, researchers have started to address problems of their own choosing, rather than of nature’s choosing. 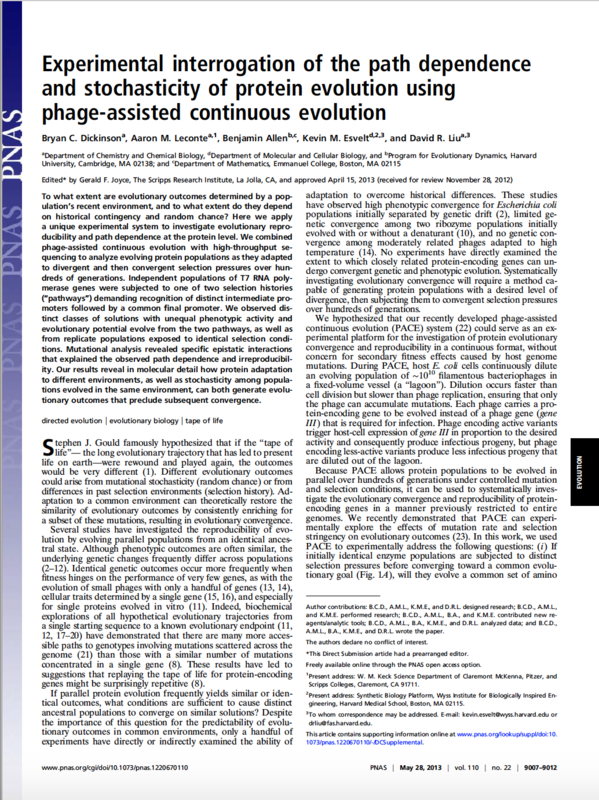 The Liu group has developed a method that enables proteins to evolve continuously in the laboratory known as phage-assisted continuous evolution (PACE), increasing the speed of laboratory evolution by more than 100-fold over other methods. 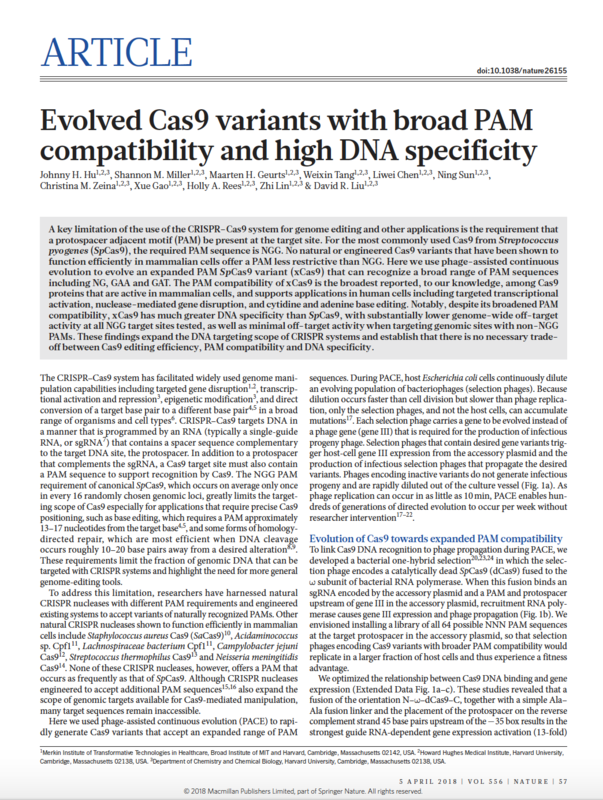 We applied PACE to evolve more than a dozen diverse classes of proteins including proteases, genome editing proteins, polymerases, antibodies, biosynthetic enzymes, and insecticidal proteins. 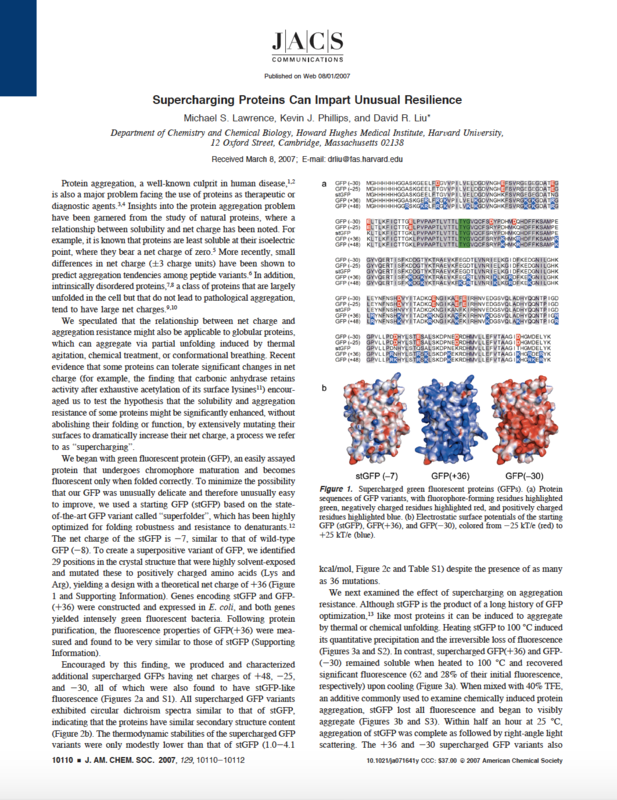 PACE is now used both in academic and industry settings to evolve proteins with dramatically altered activities and specificities, and to reveal new basic scientific insights into the nature of biological evolution. Video Description: David Liu describes the development and first applications of phage ­assisted continuous evolution (PACE), a method that enables proteins to evolve continuously in the laboratory for the first time, accelerating the speed of laboratory evolution ~100 ­fold. 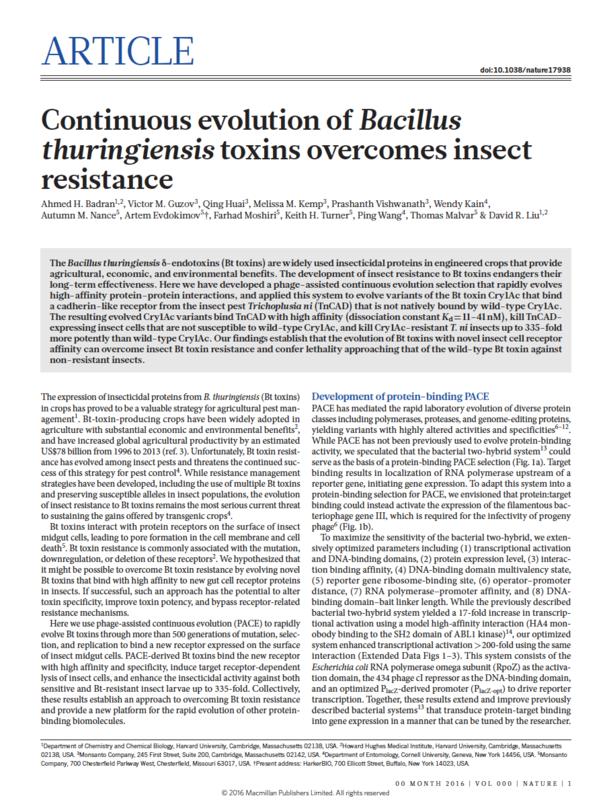 PACE has been used to rapidly evolve a wide variety of proteins with the potential to serve as novel therapeutic agents, and to study the reproducibility and path dependence of evolution over thousands of generations in a practical time frame. 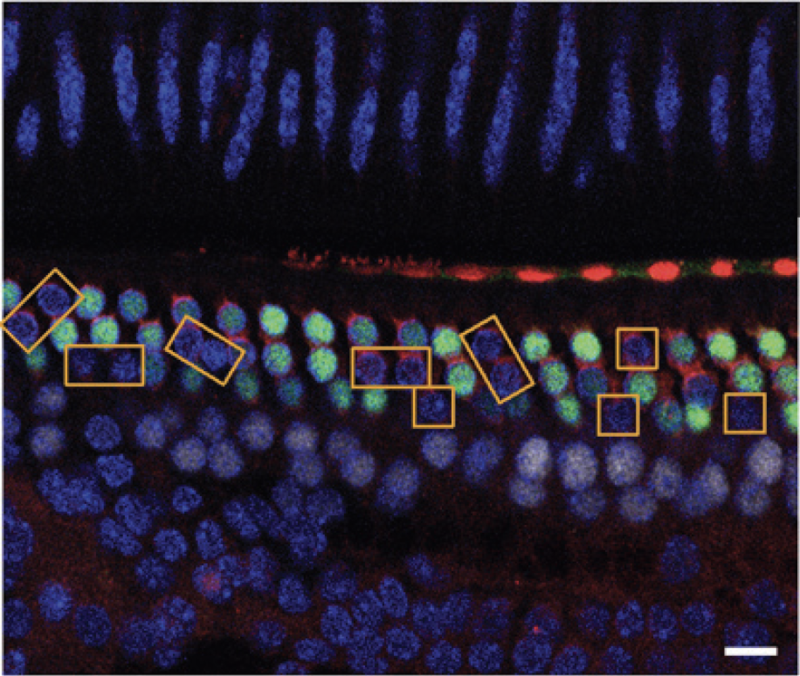 PROTEIN DELIVERY Maximizing the therapeutic relevance of proteins requires the ability to effectively deliver them into mammalian cells, of the appropriate type in vivo. 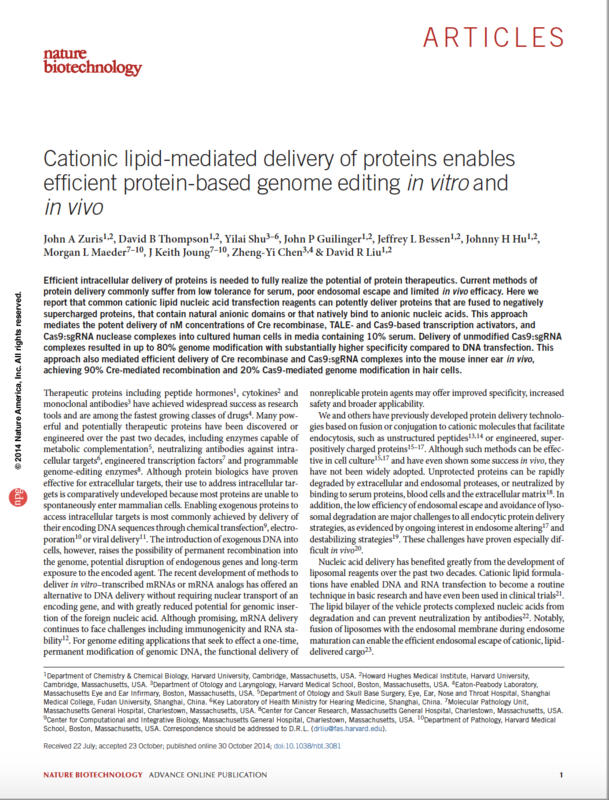 We discovered that supernegatively charged proteins, including genome editing proteins and protein-RNA complexes, can be potently delivered into mammalian cells in vitro and in vivo using cationic lipids. 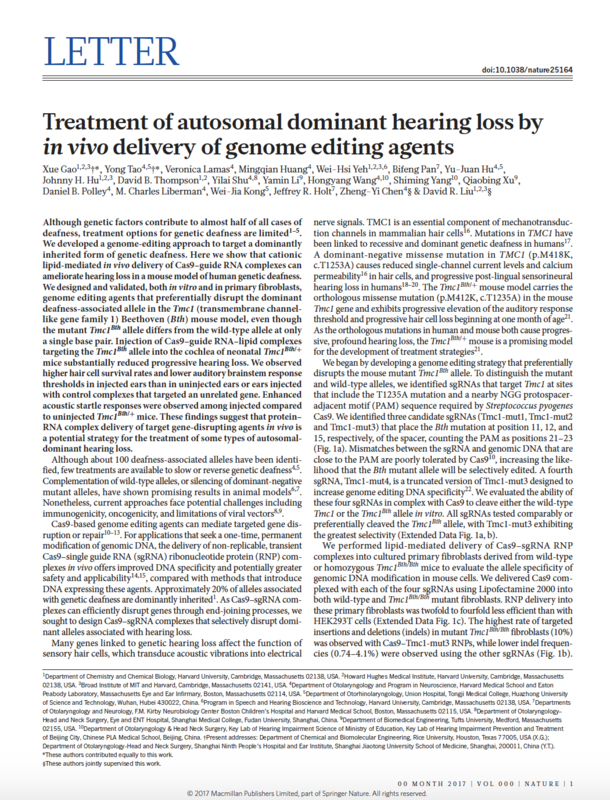 This approach has become a staple in the genome editing field, and is currently used by academic and industrial laboratories around the world. 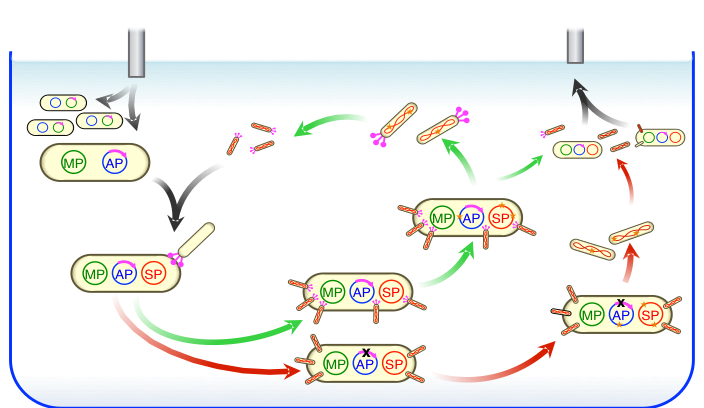 Liu also discovered small peptides that enhance the non-endosomal delivery of supercharged proteins. 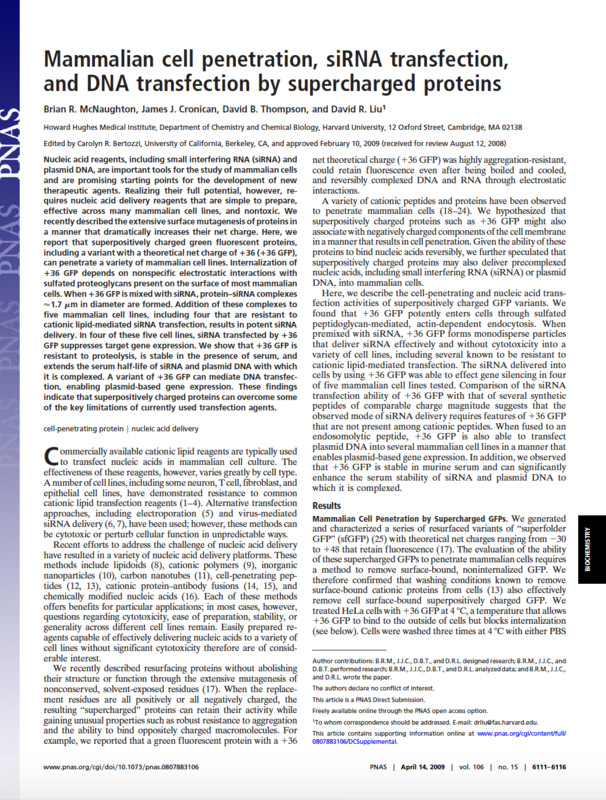 The group is also developing next-generation viral approaches for the delivery of therapeutic proteins.